I’ve always been fascinated by the inter-relationship of past, present and future. It provides, I believe, a real richness to the heft of this blog. For example, last Sunday I posted photos taken outside of Gurney House in June last year and told you Miss Gurney will be acknowledged by the North London Collegiate School in April. This then prompted Judith Carr to share memories of Gurney House and Mrs Pybus with our little online community in a follow-up comment. 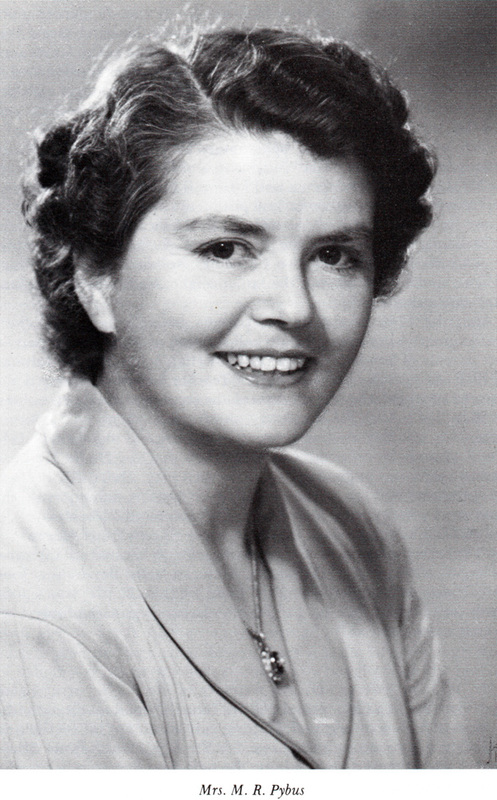 Mrs Pybus, formerly Miss Wood, Headmistress from 1945-1965. I love it when people take the time to share their own memories and responses by a posting a comment, so thank you to those of you who do. Once again, I think this adds yet another level of richness to the blog. I’m also lucky I can draw on a wide range of resources to offer different perspectives and also illustrate the stories I focus on. The Church High Senior magazines I edited are very useful here, of course. For the I998-9 school magazine, which remains one of my favourites, I had a very creative committee who took their task very seriously indeed. Because of this, we have Helen Macfarlane (then LVI) to thank for an invaluable piece of research on the origins of Gurney House. This article has always stuck in my mind, despite the passage of time, so now seems the ideal opportunity to dig it out again and perhaps gain a wider audience for it second time around. Front cover of the 1998-99 NCHS magazine (Steven Farrell). 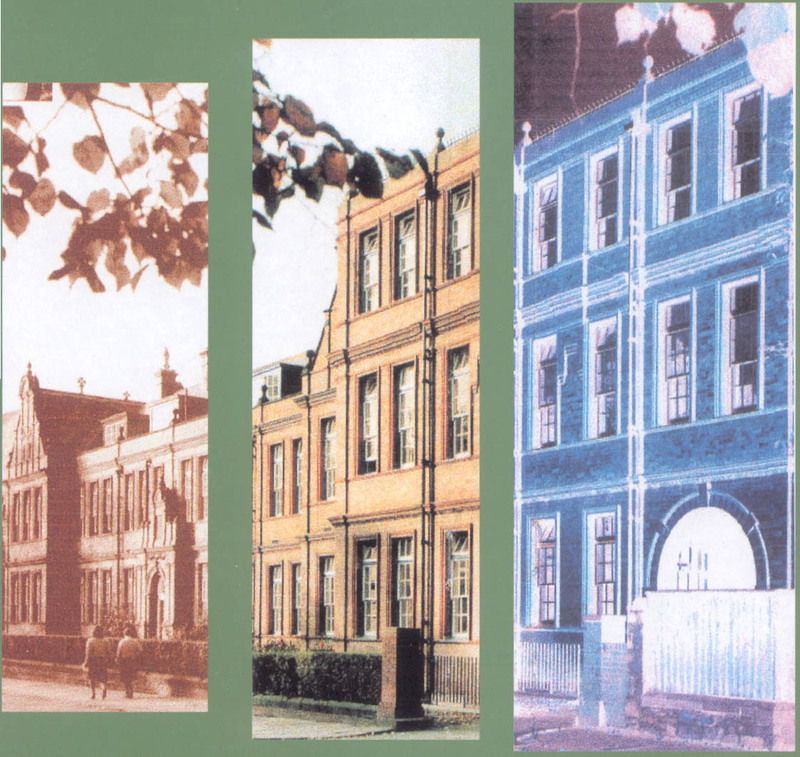 ‘Gurney House has been part of our school’s history for 50 years and when it was announced that it was to be sold in order to help finance the new school building, it occurred to me that it was the end of an era. But how did the school obtain Gurney House? Or 4, Tankerville Terrace as it was known. 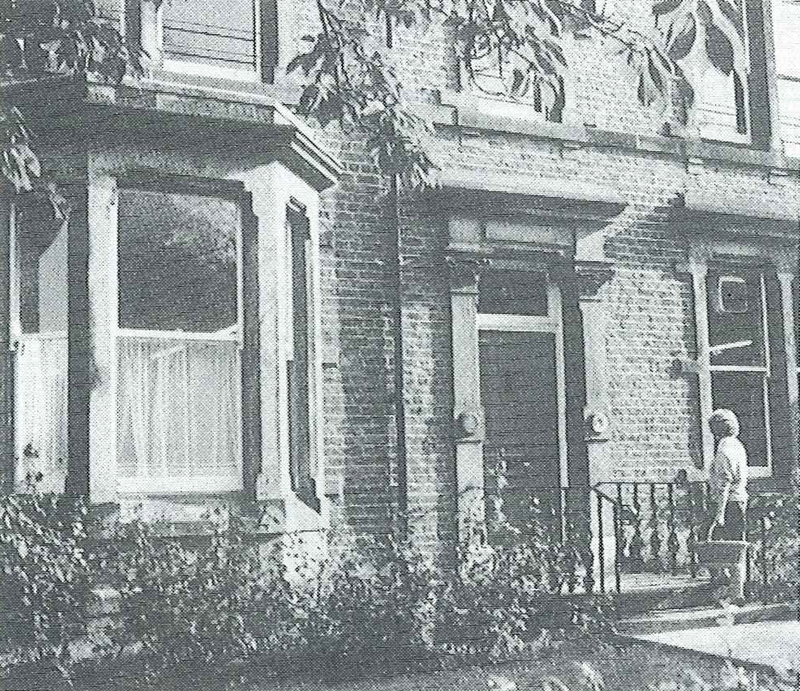 I began to investigate the history of Gurney House by using census records, electoral rolls and trade directories. Gurney House in the 1980s (Church High School Prospectus). ‘I discovered that Tankerville Terrace was built in stages and that Gurney House was built in around 1878, 121 years ago. The first family to live there were the Bell family, the head of which was John Robinson Bell, a merchant aged 38 who worked for a company known as Shield Fenwick & Co. that had mercantile chambers on the Quayside. The 1881 census lists his family and servants. He had a wife named Emma aged 33 and two sons – Robert W. Bell aged three and George Francis Bell aged one – possibly the first child born in Gurney House. Their servants were: Suzannah Rutter, a nurse from Blaydon; Christina Imrie, a cook from Scotland; and Frances Scoular, a housemaid from Shoreswood. 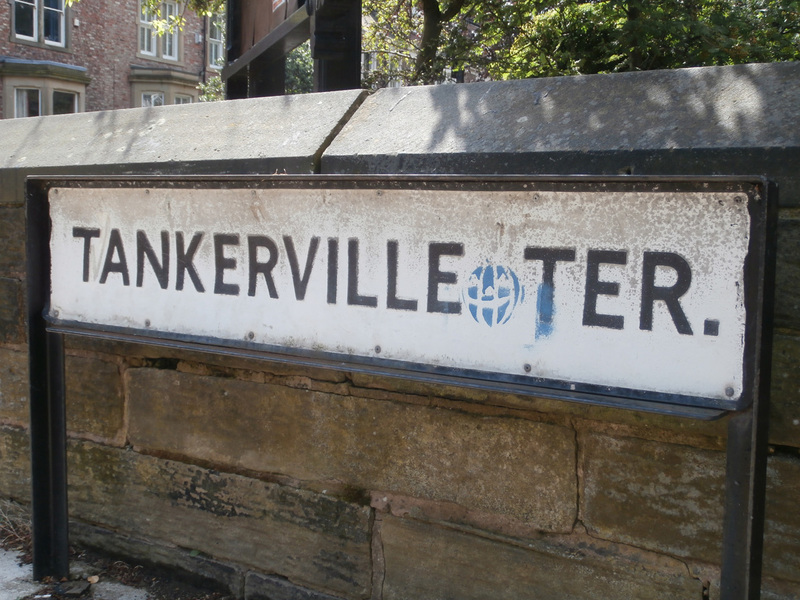 Tankerville Terrace (No. 4 second right), Newcastle Libraries. ‘The family continued to grow and by the 1891 census there were two daughters in the family, Elizabeth R. Bell aged nine and Edith Bell aged seven. Perhaps they even attended this very school? John Robinson Bell continued to live in the house until 1913 when he died. The property then passed on to his second son, George Francis Bell, a solicitor. This leaves a dilemma as to where the first son disappeared to. He may have simply left the area or more probably died sometime before 1914, possibly fighting in the Boer War. As records of deaths overseas only give the name of the regiment, the mystery of his disappearance will remain. 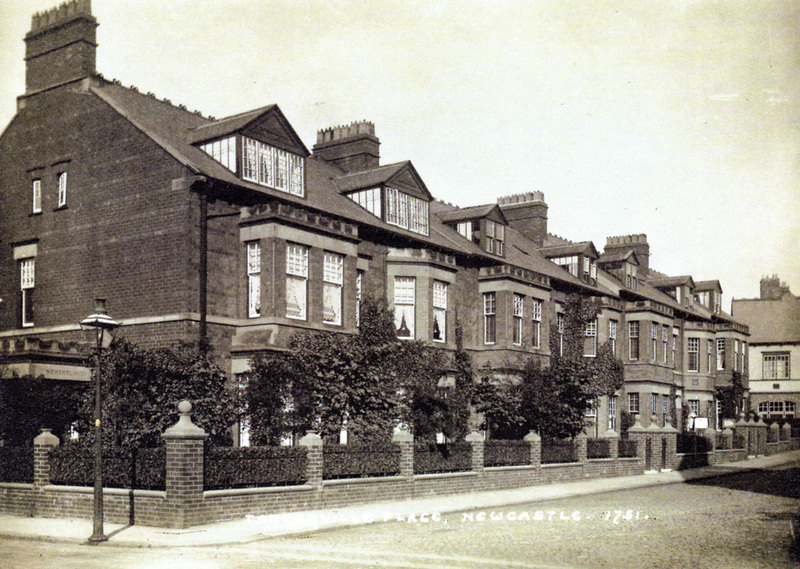 Tankerville Terrace c 1910, Newcastle Libraries. ‘By 1916, George Francis Bell had sold 4, Tankerville Terrace to the Newbigin family, who had previously lived at 17, Tankerville Terrace. The Bells moved to 55, Highbury (near to the Ilford Road Metro station). 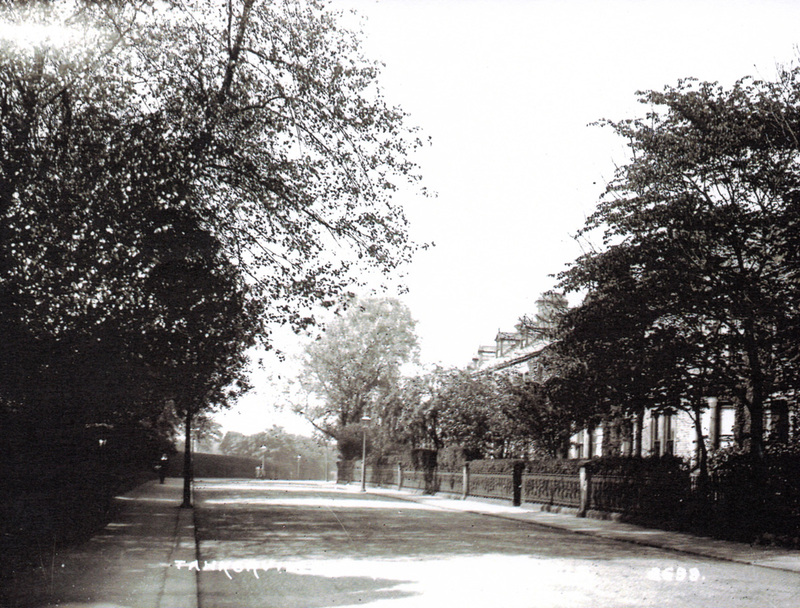 Highbury, Jesmond c 1910 (Photograph of unknown origin). ‘Edward Richmond Newbigin, who bought the house, was a ship owner with offices at Mansion House Chambers. 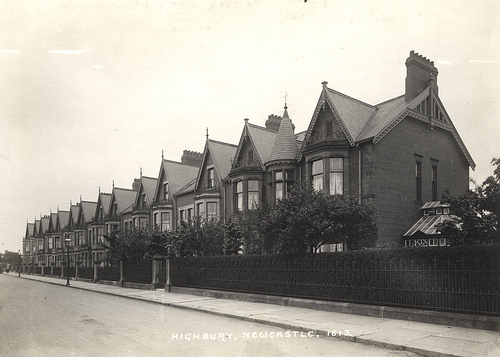 The Newbigin family expanded during their time at Gurney House and a Newbigin continued to live there until 1946 when another family, the Mullens, were living with the last remaining Newbigin in the house, Agnes Jane Waugh Newbigin. 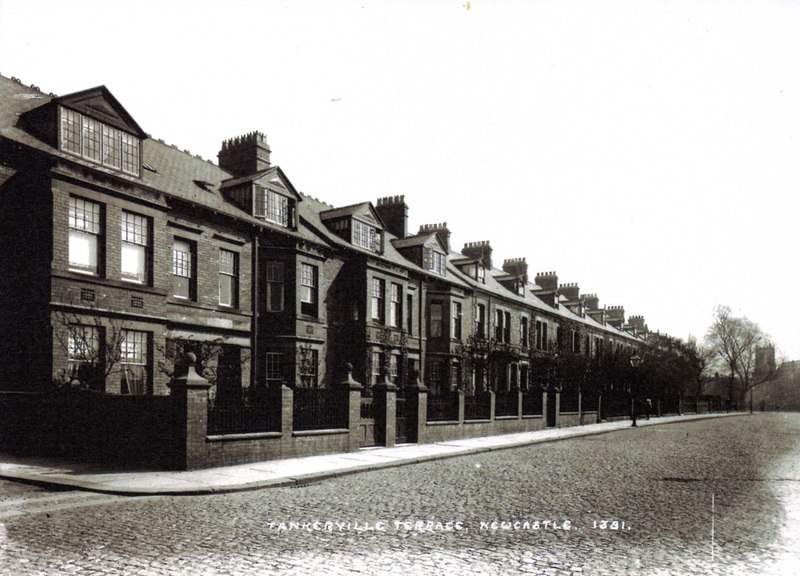 Tankerville Terrace (north end), Newcastle Libraries. The end house in the foreground is No.17, later to be Curtis House. ‘By 1947 the school occupied 4, Tankerville Terrace and renamed it Gurney House after an old Headmistress, Miss Louisa M. Gurney. 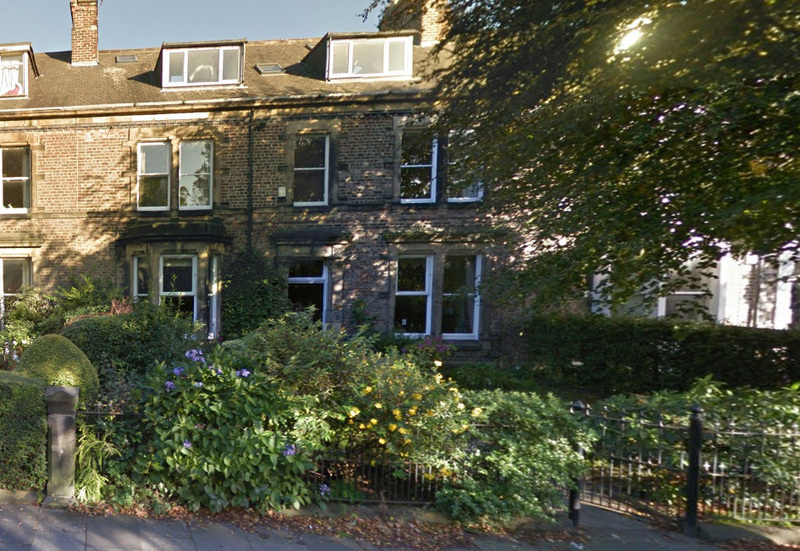 Interestingly, the original Newbigin home of 17, Tankerville Terrace was also bought by the school and renamed Curtis House in 1957, but was later sold in 1984 to finance a new Science extension. As you can see, history has a way of repeating itself! 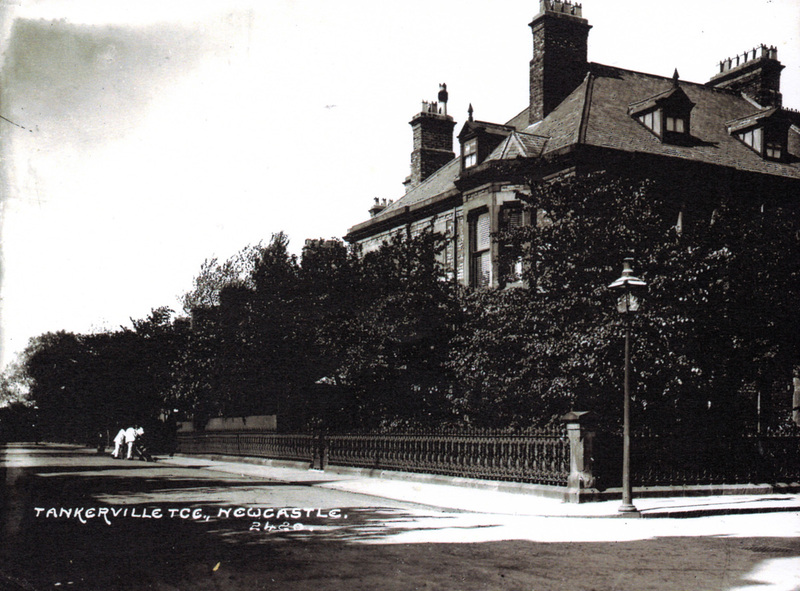 Tankerville Place c 1910, Newcastle Libraries. ‘Both the Bell and Newbigin families continued to prosper: George Francis Bell’s solicitors company was still in business in 1959 run by a J.R.N. Bell and the Newbigin ship company was also still trading. 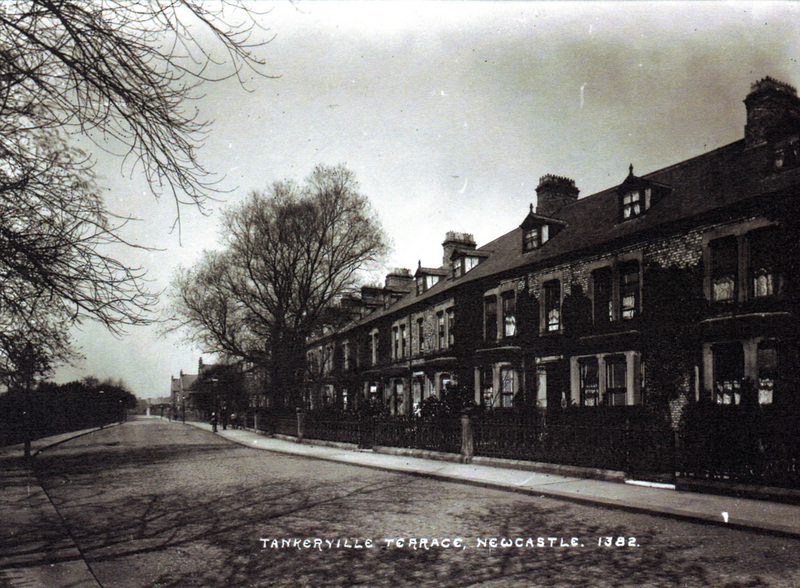 Tankerville Terrace (south end), Newcastle Libraries. Foreground: Tankerville House before it was owned by the school. ‘Gurney House has served the school for 50 years and in a way it is sad to see it go. Gurney was bought not long after the Second World War and was perhaps regarded as a symbol of hope and prosperity for the future. The sale of Gurney House today has also provided the school with a new symbol of hope, this time for the Millennium. As we look forward to enjoying our new school building, I’d like to say thank you to Gurney House, which was like a home for children from 1878 to 1999 and perhaps will be once again in the future.’ (Helen Macfarlane, LVI). 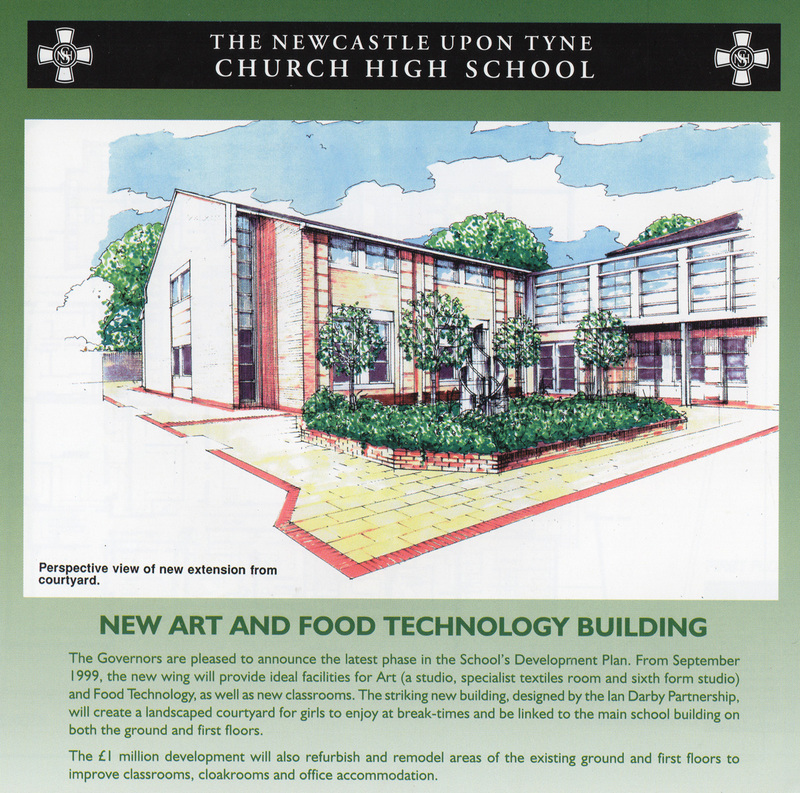 The new Art and Food Technology extension Gurney House was sold to fund. It was opened as the Barbour Wing in 1999. In the introduction to her section of ‘The Centenary Book of The Newcastle Upon Tyne Church High School’, Mrs Pybus wrote: ‘Are all school magazines alike? Now that I have re-read our magazines of the years 1945-1965 I know that articles vary, but all have a strong thread running through them ….. a school with sound traditions owes more than can be estimated to the vision and loyalty of its staff and girls.’ This is true of Helen Macfarlane and of countless others who contributed articles to our magazine over the 29 years I served as the editor. As Mrs Pybus goes on to describe, it was also true of many Governors: ‘We needed a Science Block, and there was no land near where it could be built. Fortunately, Mr. J.A. Dickinson, a Governor who lived in Tankerville Place, saw that 17, Tankerville Terrace, the end house in the block, was for sale. The Governors bought the house. Mr. Philip Newcombe planned the conversion into laboratories 35ft long by taking out the walls between the front and back rooms [adding dormer windows]. Professor and Mrs Curtis opened the house called by their name in March, 1958.’ In 2017, 4 Tankerville Terrace is a family home once again. No. 4, Tankerville Terrace as it appears today: Google Street.